According to the FBI, a burglary takes place every 15 seconds in America. Let that sink in for a minute while you read further. 1. Advertising as a handyman on Craigslist is an easy way to case your home. Think about it, this is the perfect way for a criminal to enter your home, check out what sort of security features you have in place, and unlock a window for easy entry later that night. Free online classified services are a goldmine for criminals who want to prey on unsuspecting homeowners. A case in Reno, Nevada recently revealed one instance where a criminal was posing as a handyman in order to rob senior citizens of their possessions while he was supposed to be doing minor repairs to the home. 2. Your car is an entry point into your home. If you program your GPS with a 'home' destination, a car thief can use your garage door opener to easily enter your house while you're stranded miles away. If you insist on programming a 'home' destination in your GPS, place it in your glove box and lock it when you leave the car or take it with you. The same is true of your garage door opener. It may seem like overkill, but you are potentially giving crooks a key to a much bigger payday. This happened several years ago in Michigan and Ohio, where a crime ring used stolen GPS units to burglarize homes in nearly two dozen communities. 3. Having a CCTV system is the best deterrent to a break in. Police only arrest 10-15% of culprits in home break-ins because they lack concrete evidence. Unlike a simple alarm system, a video security system will keep a live record of anyone who enters your property, giving the police a clear picture of the culprit. Fewer than ten percent of those who have been arrested for breaking and entering are professional burglars who have committed multiple home robberies. 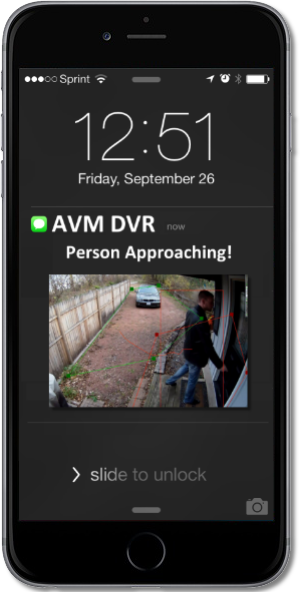 Most are opportunists looking for a quick way to get cash and valuables. This means they are going to be easily startled by the presence of professional home security systems and will go elsewhere where it easier to get in and out of a home without being detected. 4. Trained dogs are worth their weight in gold. Even little breeds can give potential burglars reason to flee, because their barking will alert anyone who is home. That said, lots of burglars will knock on the door first, posing as someone who is lost and in need of directions, so if the dog barks and nobody answers, it is pretty clear that your home is fair game provided your pooch isn't a trained attack dog. 5. You should never leave a key under the mat. Every burglar worth his salt knows about this trick and it will be the first place he looks. A better option, if you must leave a key outside, is to use a secure key box with a keypad that requires a code to open. If you can hide this in an inconspicuous place, all the better. Your home's exterior is the first thing a bad guy looks at while looking for potential soft targets. If they see no evidence of a video security system, criminals will feel more comfortable poking around your house in search of a spare key. The financial and psychological costs can be enormous if you allow yourself to be a victim by not taking home security seriously. Let us help you take measures today to ensure your home will be as safe as possible.